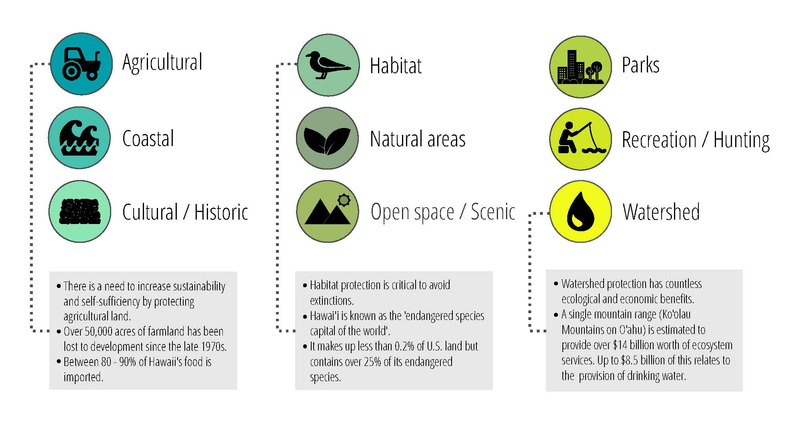 Land Conservation: The foundational first step for stewarding an abundant future. 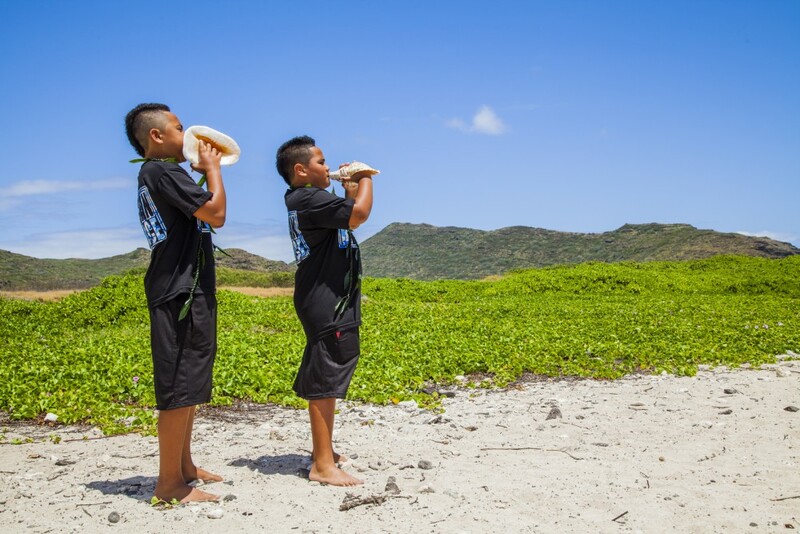 The Legacy Land Conservation Program is a tool that aids Hawai‘i communities in the acquisition and permanent protection of naturally, culturally, and historically important places. 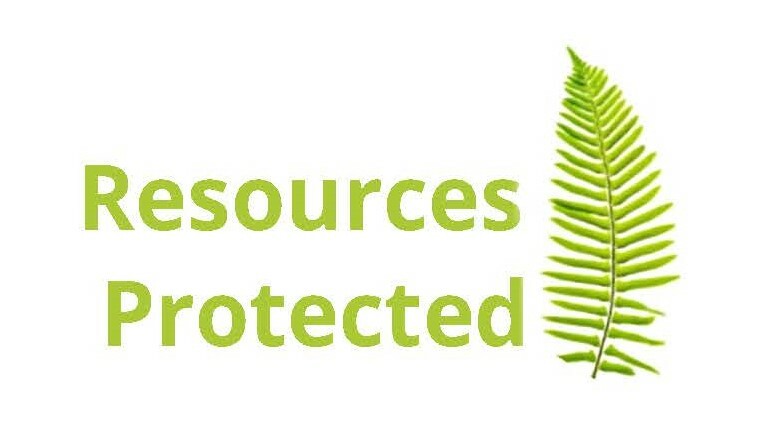 The program awards grant money to community organizations and government agencies that strive to purchase and protect land that shelters exceptional, unique, threatened, and endangered resources. The state legislature provides an annual appropriation of approximately $5.1 million. 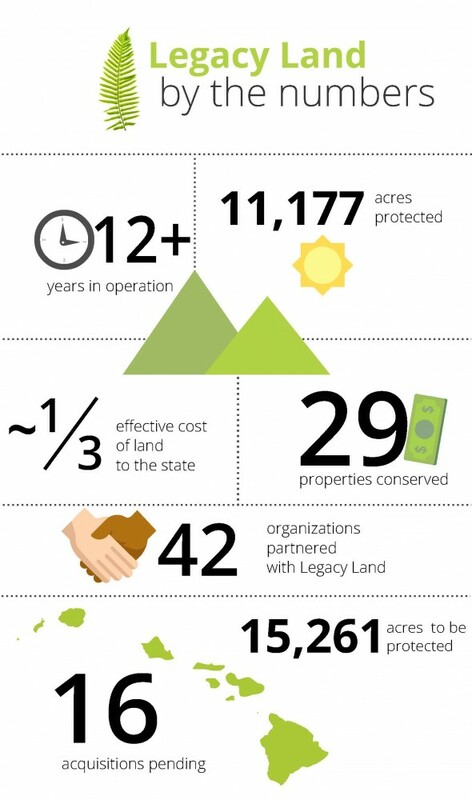 Each year, $1.5 million is committed to debt service payments for the State’s previous land conservation purchases at Turtle Bay, O‘ahu, and over $3 million is awarded for land acquisition grants. Thus far, the program has provided over $24.3 million for completed projects and has set aside over $10.5 million for projects that are pending. 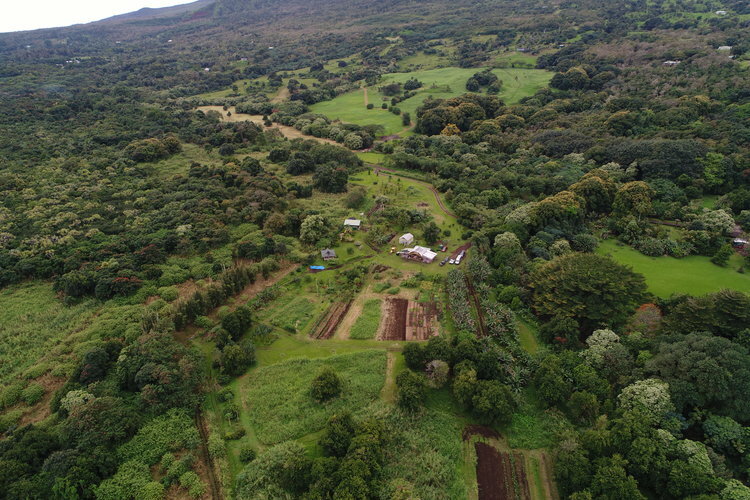 The Wai‘anae Community Re-Development Corporation (WCRC) was awarded funds to purchase 11 acres of agricultural lands in Lualualei Valley, Wai‘anae, O‘ahu for the expansion of their farm. What was active agricultural land from the 1950s to 1980s had been abandoned and smothered by invasive grasses and weed species. Acquisition of this land by WCRC put the land back into agricultural production, and now it is managed as a certified organic farm that serves as a platform for a youth leadership development program that empowers local youths to be community leaders. 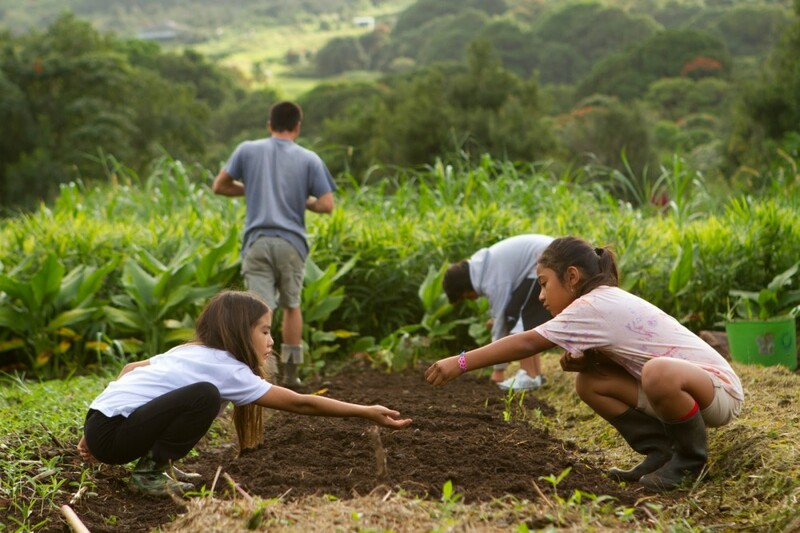 With agriculture and mālama ‘āina work as a platform to become empowered by entrepreneurial and leadership lessons, MA‘O trained youth from underprivileged circumstances to be culturally rooted and communally relevant social entrepreneurs and leaders. 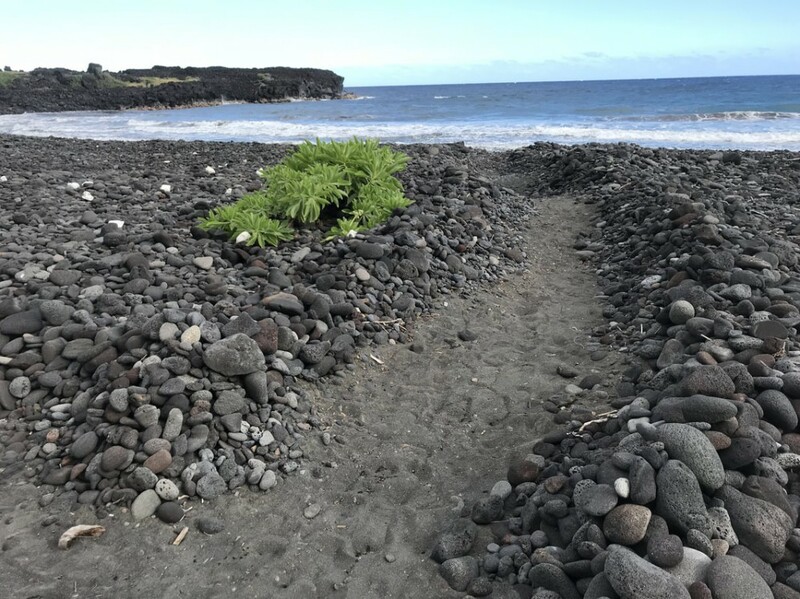 In 2006, the first year of the Legacy Land Conservation Program, the National Tropical Botanical Garden (NTBG) applied for funding and was awarded $1,500,000 for the acquisition of 169.87 acres of land in Honomā‘ele, Hāna, Maui. 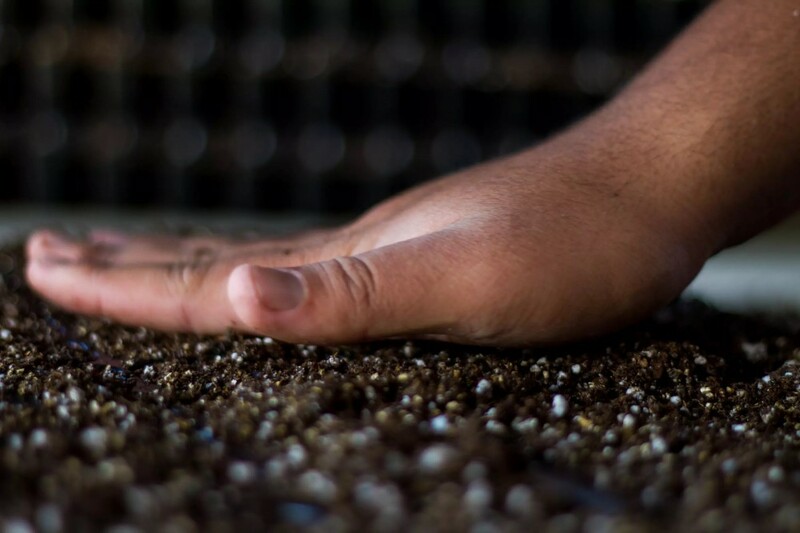 This purchase allowed for the long-term protection of the land by NTBG, an organization that conserves lands and perpetuates the survival of plants, ecosystems, and cultural knowledge as part of its mission. 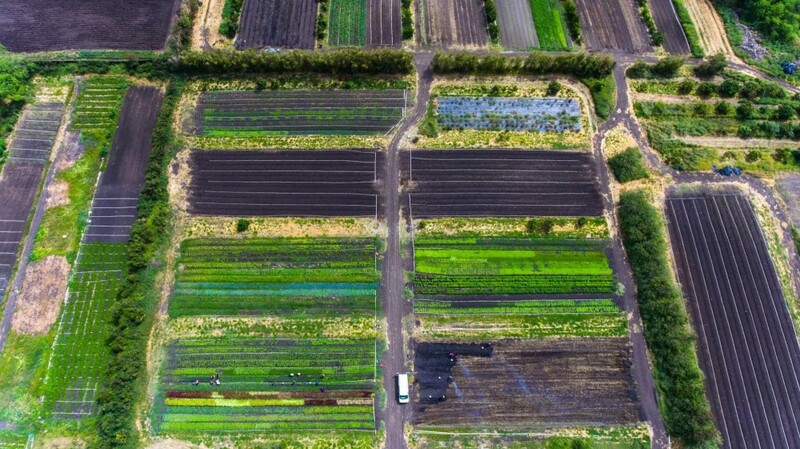 A portion of this land supports Mahele Farms, Hāna’s community farm with a mission to operate as a resource for education, sustainability, and healthy food for this isolated community. 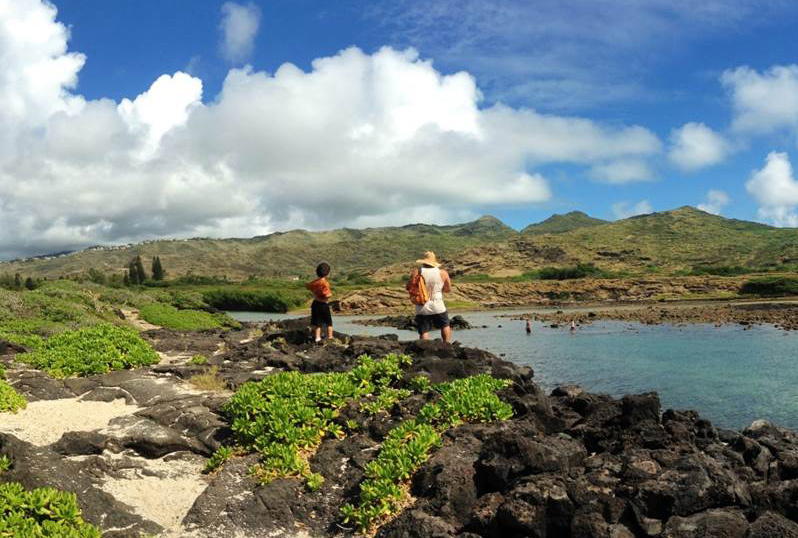 Generations of O‘ahu residents had been fighting to protect the Ka Iwi coast from development for 40 years. 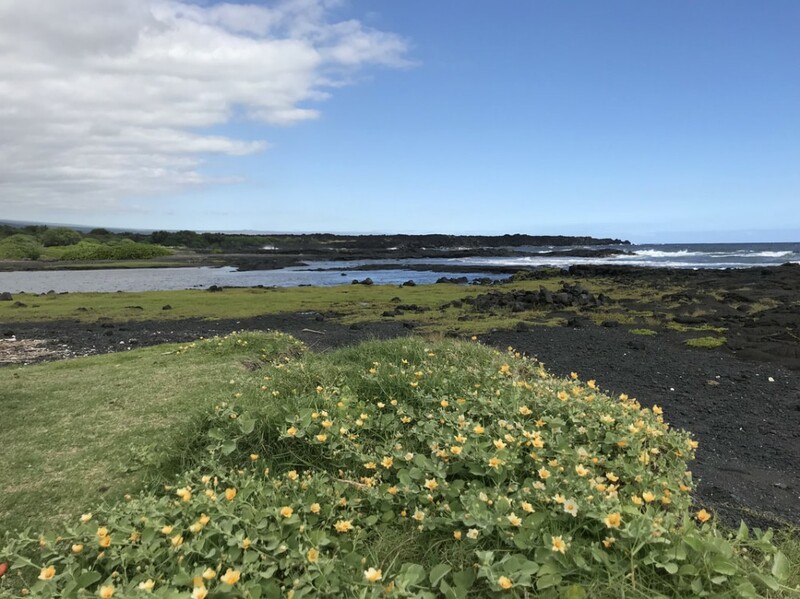 The Trust for Public Land conveyed the remaining two parcels totaling 182 acres of east O‘ahu coastline to the community through the Livable Hawai‘i Kai Hui, which was awarded $1 million by the Legacy Land Conservation Program. 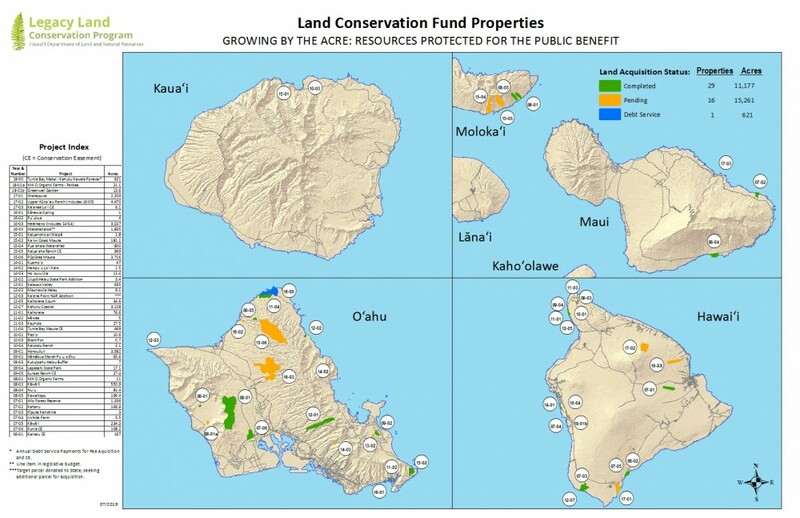 The City and County of Honolulu and the Trust for Public Land co-hold a conservation easement over the properties, ensuring the land will never be threatened with development again. This natural coastline holds meaning for many locals—canoe paddlers, fishermen, and boaters use the coastline as a key navigational landmark that indicates the Ka Iwi channel between O‘ahu and Moloka‘i—and every day thousands of locals and visitors hike, swim, surf, or paddle along this scenic landscape. Now the public will be able to enjoy this undeveloped, unique, and treasured coastline forever. The application portal is currently open and will close in September. At this link you will be directed to an online portal where you can fill out the application and upload any necessary supplemental documentation. 1) Send request for agency consultation (Form 5) to DLNR, HDOA, and ADC by the August deadline. * A title report, appraisal or alternative valuation data, and support letters from your community and government representatives are all strongly recommended to be submitted with the completed application. We anticipate that the total available funds for land acquisition will be about $4 million for the next grant application cycle.